This page is intended to provide a basic introduction to the great variety of loading gauges in use on the british railway systems at the end of the 19th century. The topic of loading gauges gets suprisingly complicated. 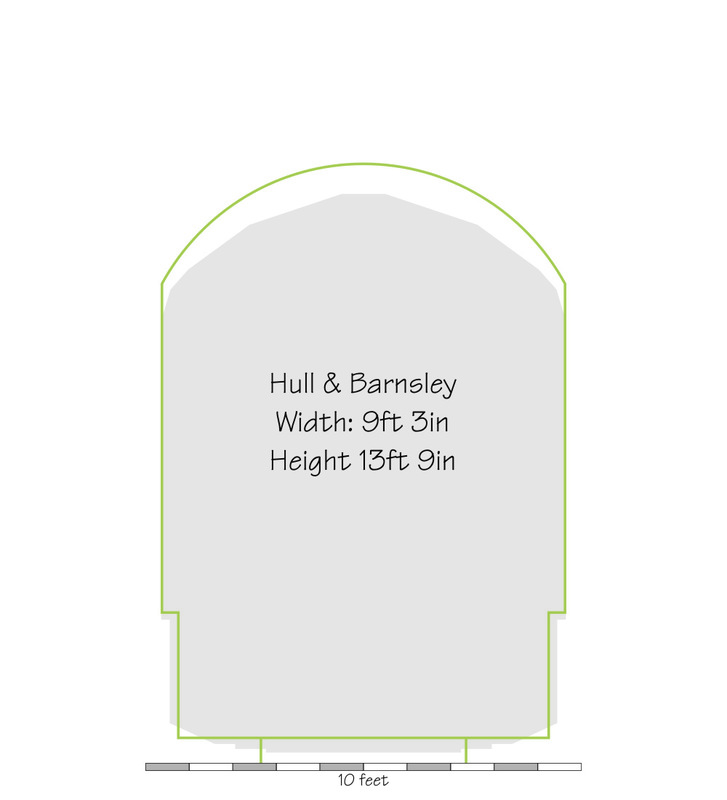 Simplistically there is the structure gauge, which defines the hole, and the loading gauge, which defines the peg, and there is a clearance allowance which ensures the peg doesn't touch the sides of the hole on the way through. Obvious complications include the likes of ensuring there is enough room for doors to open onto platforms. In the very early days, with short 4 wheeled or 6 wheeled carriages and locomotives there was little more to it than that. Even though, to the Great Western Railway's disgust, the track gauge was standardised early on, the structure gauge was not. 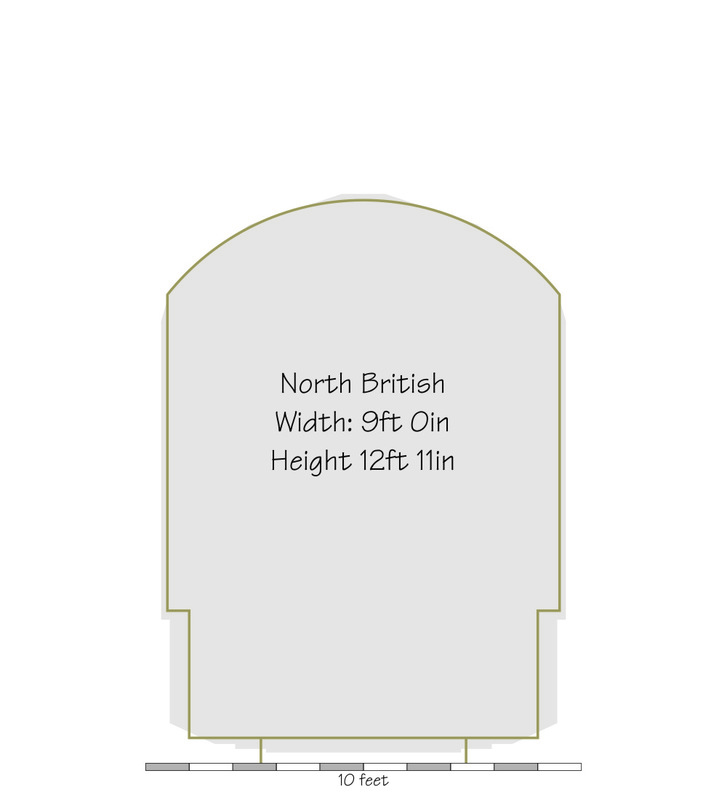 British lines tended, with the obvious exception of the broad gauge, to have a loading gauge between 9ft and 9ft 3in wide, and between 12ft 9in and 13ft 9in above the rail head in the centre. 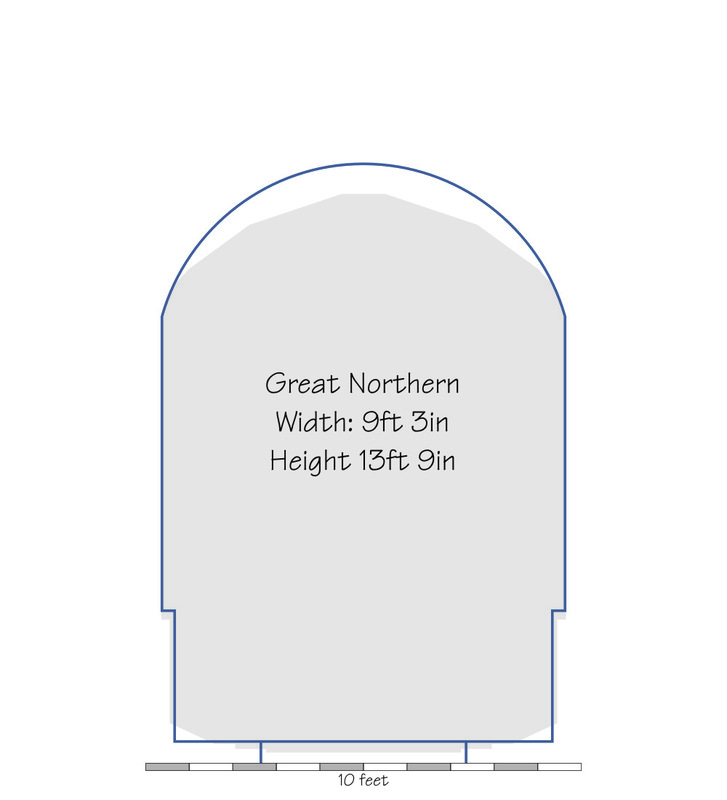 The actual profile varied even more widely, with the height at the side of the gauge varying between 10ft 6in and 12 ft. Beyond this there were many local variations, minor and freight lines were especially liable to be built to restricted gauges, as were very early lines. The story, possibly apocryphal, is told of a young executive asking an experienced engineer why one of the early lines, Liverpool and Manchester I think, did not fully comply with the modern passenger gauge, and being told that the engineer supposed no-one had informed George Stephenson! As the railways developed vehicle length became a factor. A bogie wagon or carriage, for example, overhangs the track on the inside of the turn, and cannot be as wide as a short four wheeled truck. A locomotive with a leading bogie, on the other hand, has a greater overhang on the outside on the bend. Super elevation of the track (outside rail raised on bends) was also a consideration. Standards for railways in the UK are now set by the Rail Safety and Standards Board (RSSB), and they provide an introduction to the complications of gauging in this highly recommended leaflet. It runs to 80 pages, but is well worth reading if you are interested in the subject and wish for an appreciation of the complexities. There is much more - for current gauges here is a link to the current RSSB document covering loading gauges in current use. It details thirteen vehicle gauges and runs to 69 pages, and references another dozen or so standards documents... Its very technical and very detailed, as indeed it needs to be. Returning to the past, its important to understand that the static gauges shown here were rarely universal, even on the individual lines. The major pre-grouping companies were all amalgamations of smaller companies, and it was common for there to be certain routes with restricted clearances in the same way that there were routes with weight restrictions. These were typically listed in general or sectional appendices to the company rule book. Perhaps the most notorious is the "Hastings Line" on the Southern railway which was constructed with undersized tunnels for the already small South Eastern Railway gauge. Consequently smaller locomotives and carriages were required, a problem that has only recently been resolved by reducing all the tunnels on the line to single track. 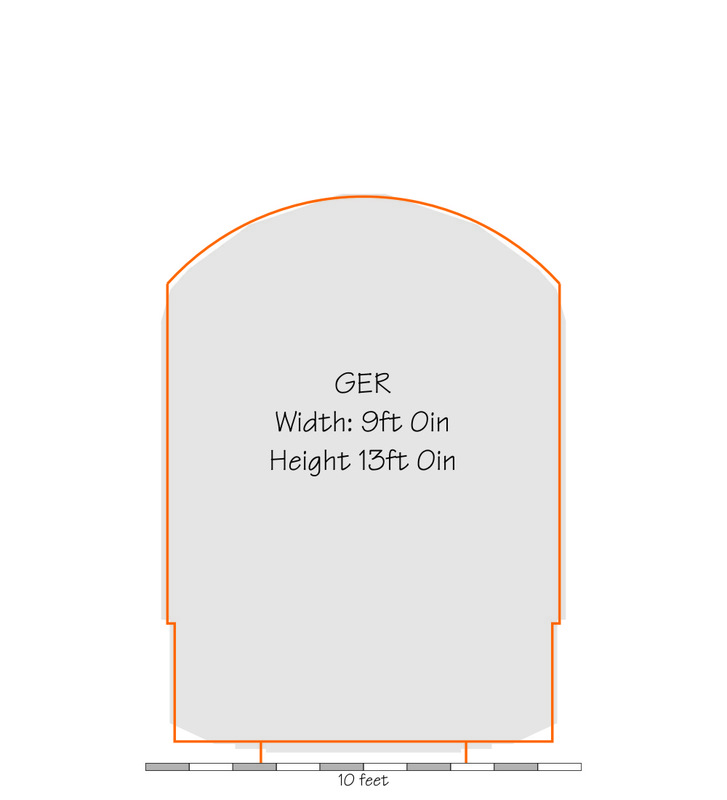 Structure gauges are another and possibly even more complex subject. Bridges are expected and do last decades, generations, even centuries, and tunnels are an even more expensive proposition to enlarge. Track is by no means fixed on the track formation, and in the medium term does get moved, and maintaining or increasing clearance from structures is a continuing requirement. Even in these days there is the occasional fatality to remind us of the dangers of leaning out of the window of a moving train. By 1928 the Board of Trade was mandating quite a generous structure gauge for new construction - 15ft clearance in the centre, which was a good deal greater than most pre group structure gauges. Overhead electrification was definitely in mind. Essentially the same dimensions were in evidence on British Railways drawings of the 1950s. The Southern Railway at least mandated the 15ft clearance on new construction. Oddly the GWR may not have done. I have seen an S&T department structure gauge from the 1930s which is somewhat lower. A drawing from the civil engineers would be more definitive. I hope to add further loading gauge dimensions and sketches as I receive them. 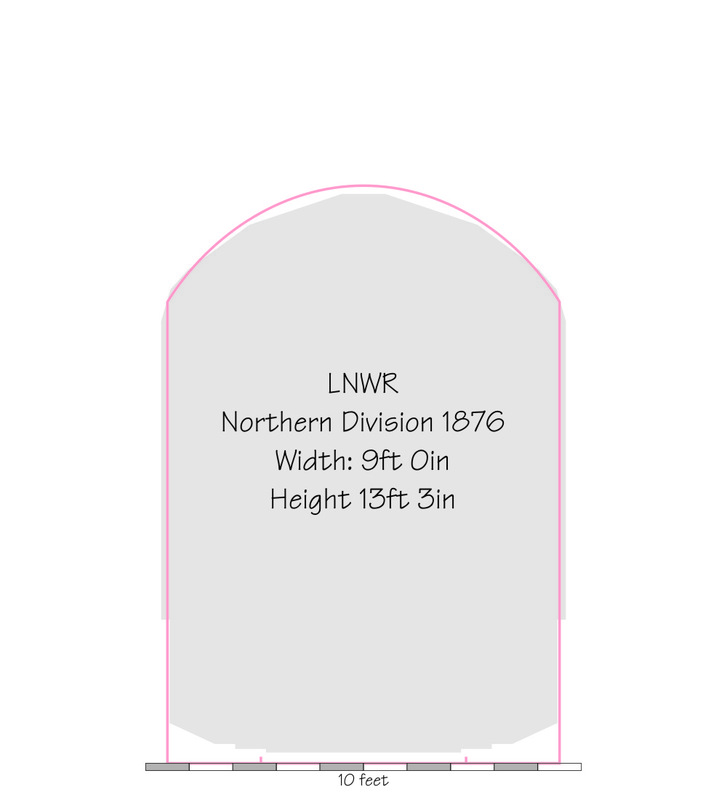 If you can help with historical loading gauge or structure gauge diagrams please contact me using this form, or if you prefer use Linked In or even Facebook. 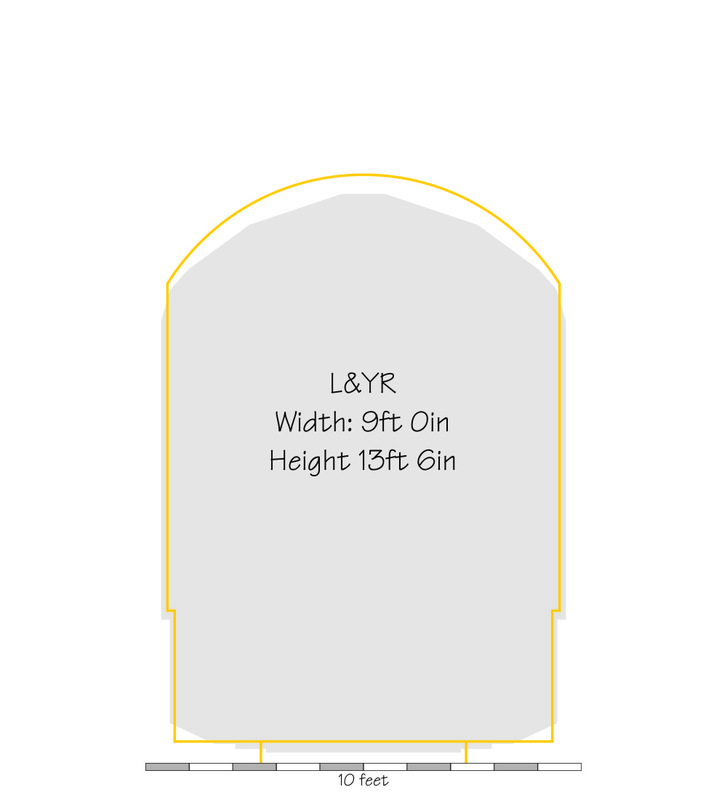 In general I don't need high resolution scans of the originals since they are normally dimensioned. 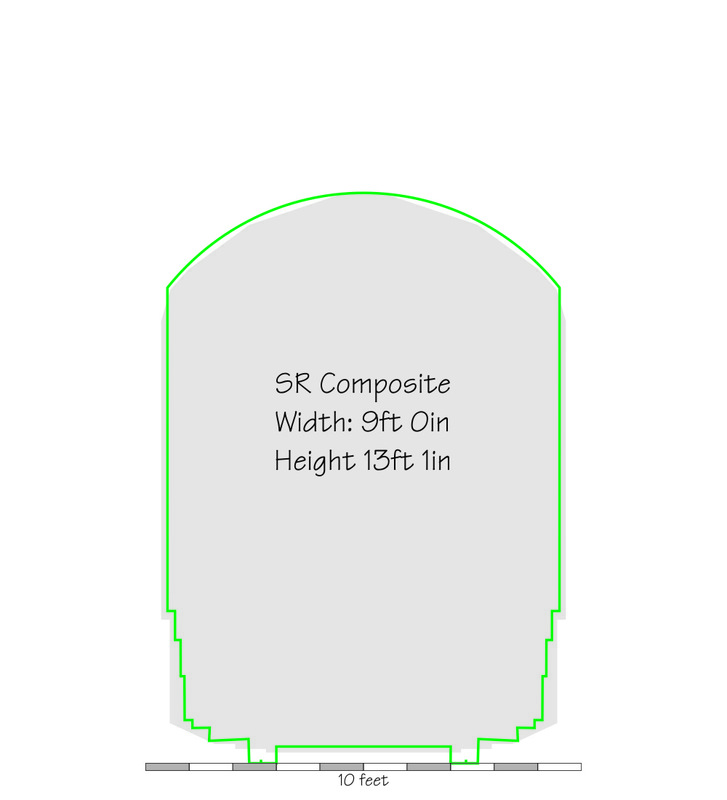 A mobile phone snapshot is usually fine as long as the dimensions are legible. 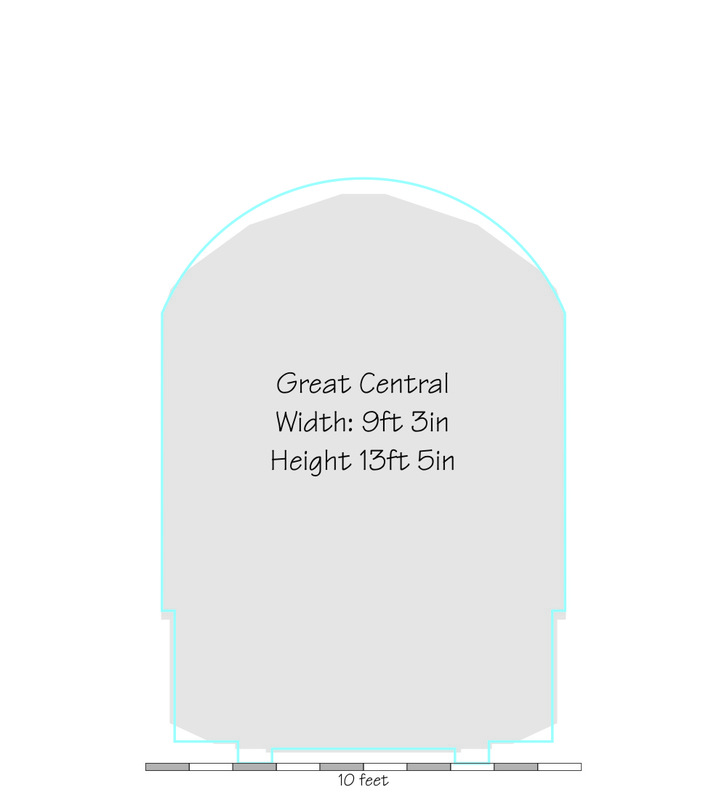 LD&ECR 9'0 13'0 11'0 11'0 Dow, "Great Central"
Dimensions shown in a gray cell have been calculated, all others are as listed on official or contemporary drawings, except W6A, which have been converted from metric equivalents. The study is at too early a stage to draw many conclusions. The subject is complex, and its difficut to understand the gauges chosen for each lines without knowing the history. The GCR loading gauge is taken from a collection of drawings from documentation for the GCR London extension. The frequently made statement that this line was constructed to the Berne gauge is a modern myth, since these drawings all clearly show the same gauge as other GCR lines, as, indeed, do the surviving structures. 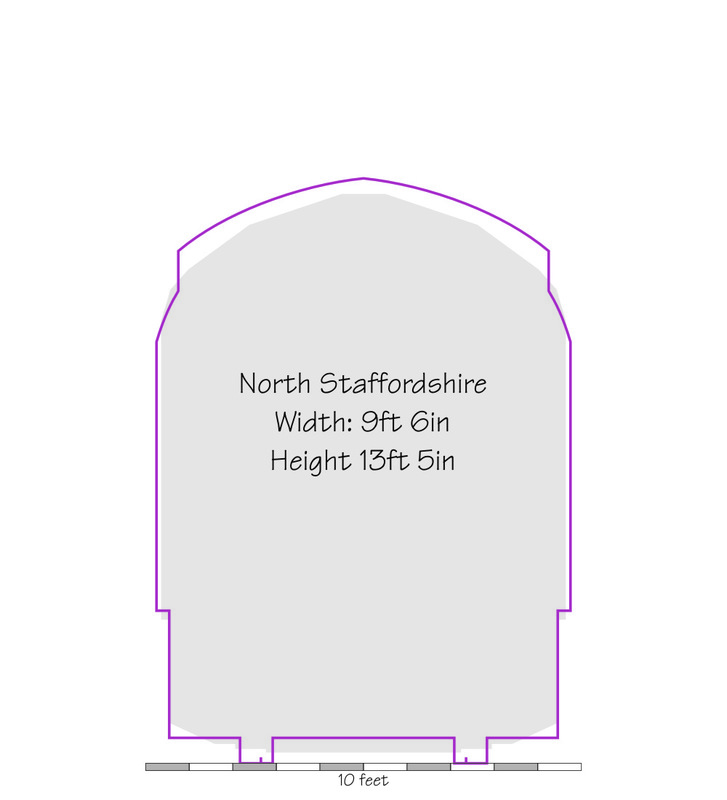 At 9ft 3in wide and 13ft 4in high the GCR gauge was one of the larger british gauges, but still very small compared to the Berne gauge, which was 14ft high and 10ft 2in wide. One should also note that the construction of the London extension commenced in 1894, but the Berne gauge wasn't agreed until 1912. 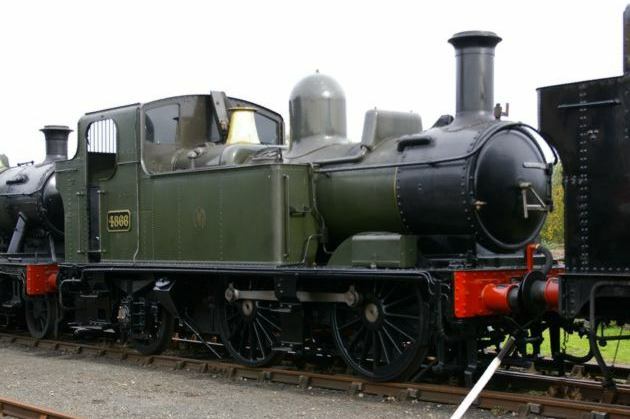 It seems evident that the popular conception that the gauging problems GWR locomotives are experiencing on the modern railway dates back to the broad gauge is not well founded. 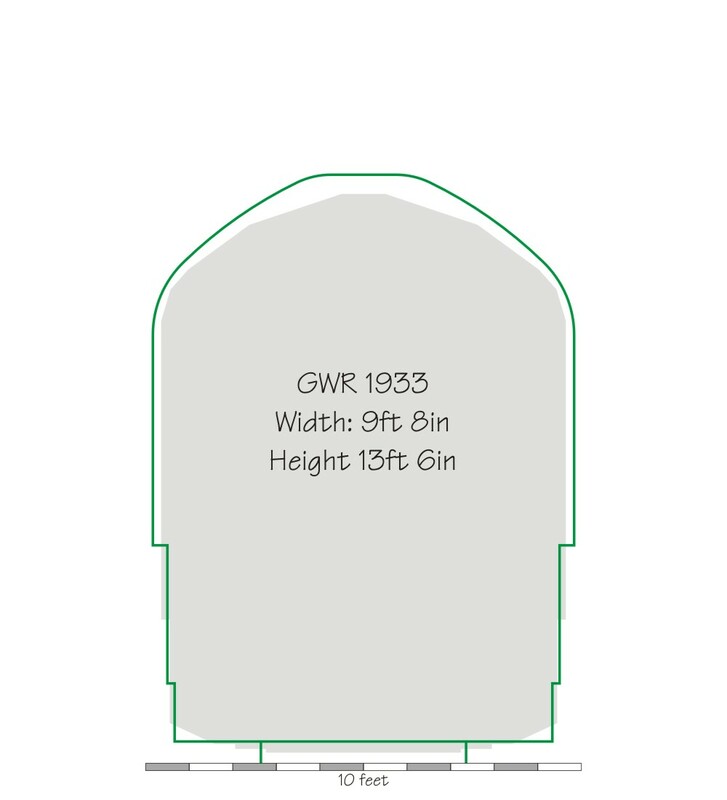 Height overall of the GWR gauge (13ft 6in) is well within the normal range of gauges found on other lines and several lines were taller. 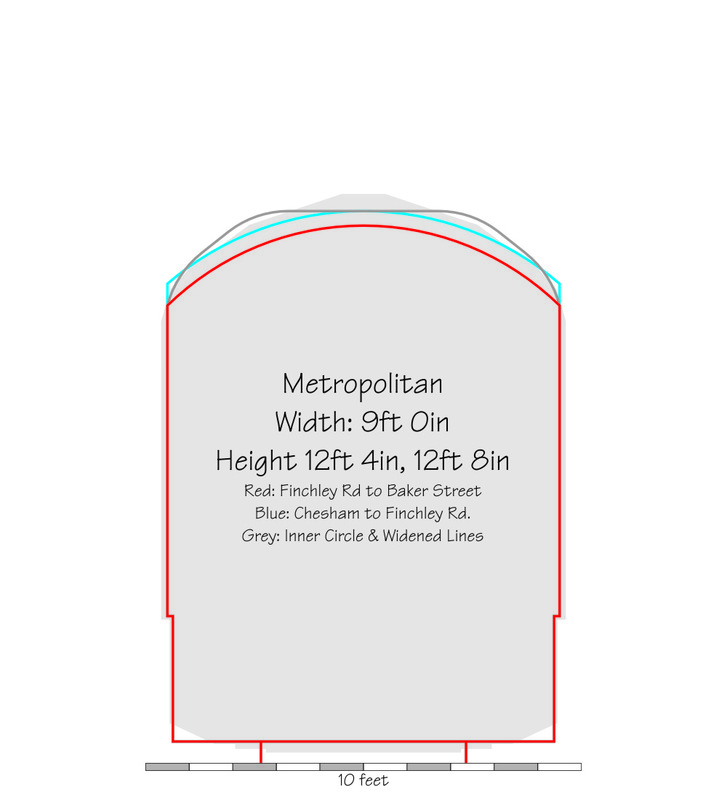 Width at platform height is larger than most, but mainly due to a narrower platform clearance. 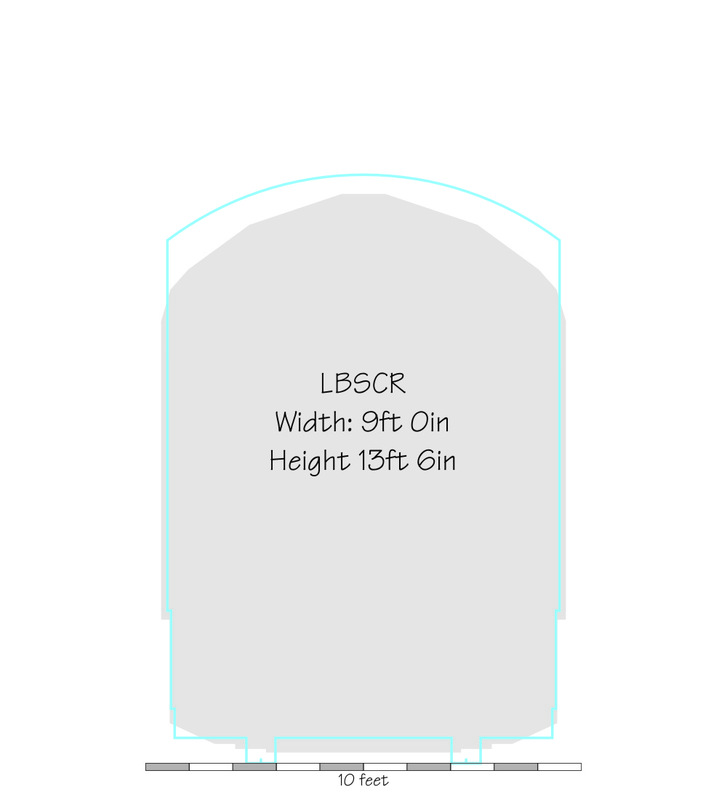 The standard width over GWR outside cylinders on the 4 cylinder classes (8ft 8in) was in the general range. 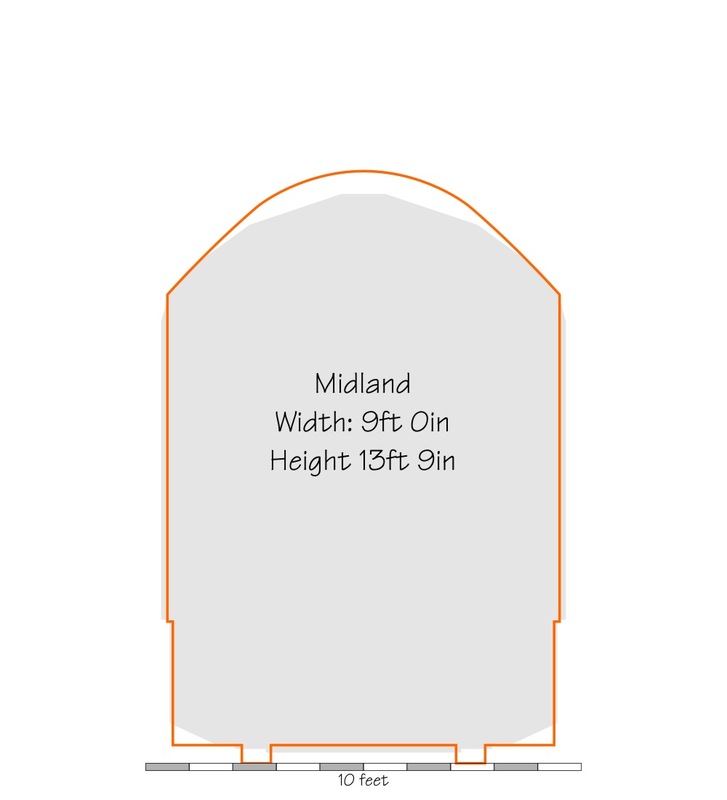 The two cylinder classes have wider cylinders (8ft 11in). The main difficulty for GWR locomotives seems to be that platform clearances are being minimised because of the problem of passengers being trapped in sliding doors and dragged between platform and train. Overall width well above platform height, on the other hand, was greater than any other line. A study of the route restrictions in the GWR appendix to the rule book 1936 shows there to have been a complex set of restrictions for passenger stock of various sizes. 63ft by 9ft 5in stock was not permitted on any other company's lines, nor on a wide selection of GWR routes which superficially appear to be principally routes that were never broad gauge. There has to be a suspicion that this did take advantage of broad gauge structures, with track having been realigned to give greater lateral clearance from bridges and other obstructions. 73ft by 9ft stock was only permitted on a handful of LMS routes and barred from many GWR lines. Smaller widths and lengths of stock had different restrictions, and 63ft 6in by 9ft 3in in stock could be run over much of the old LNWR, some Midland routes, but not over many of the absorbed Welsh lines. 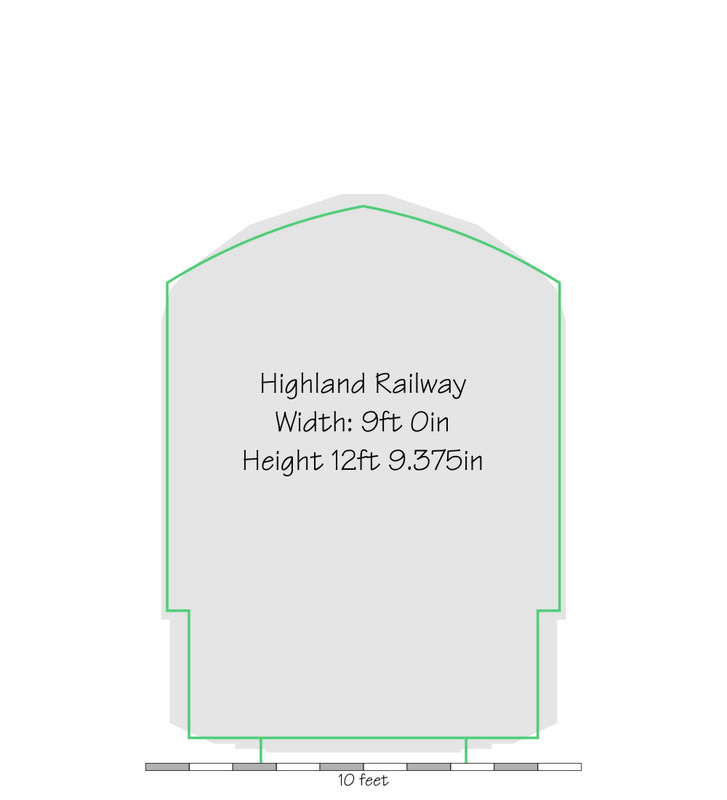 60ft by 9ft stock was much more widely acceptable, with the notable exception of the old SECR lines. A study of gauges used on the GWR and constituents in the 19th Century would further inform this. I hope to address this in future revisions of this document. There was no standard broad gauge loading gauge either, and the GWR gauge shown here was larger than that of the Bristol & Exeter and Cornwall Railways. 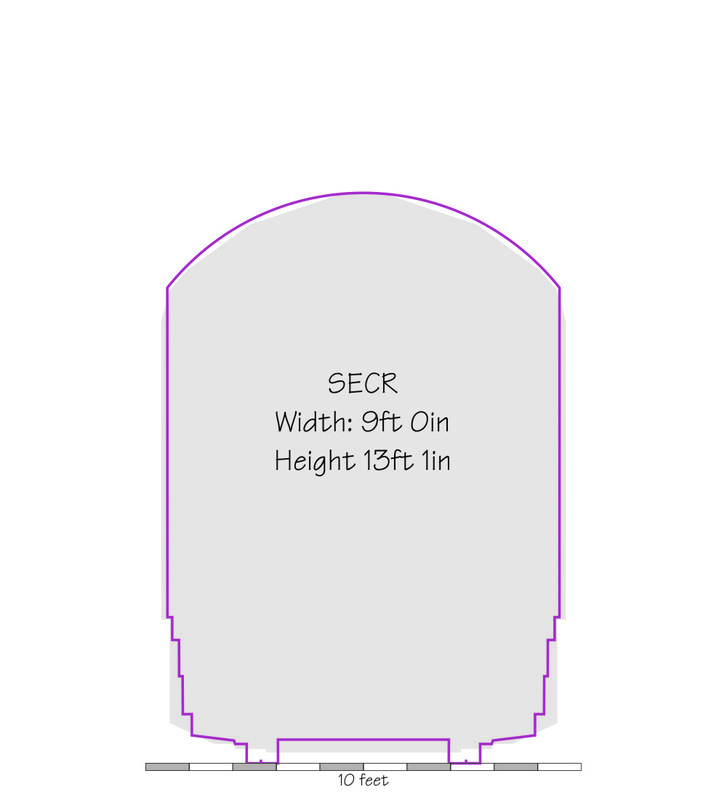 Note that the rail to platform and rail to extreme width dimensions on the broad gauge were well within the general run of such dimensions on the standard gauge lines, as would be necessary for mixed gauge track with a common near rail to work. Standard loading gauges after the grouping generally reflected lowest common denominator dimensions, and British Railways did the same. 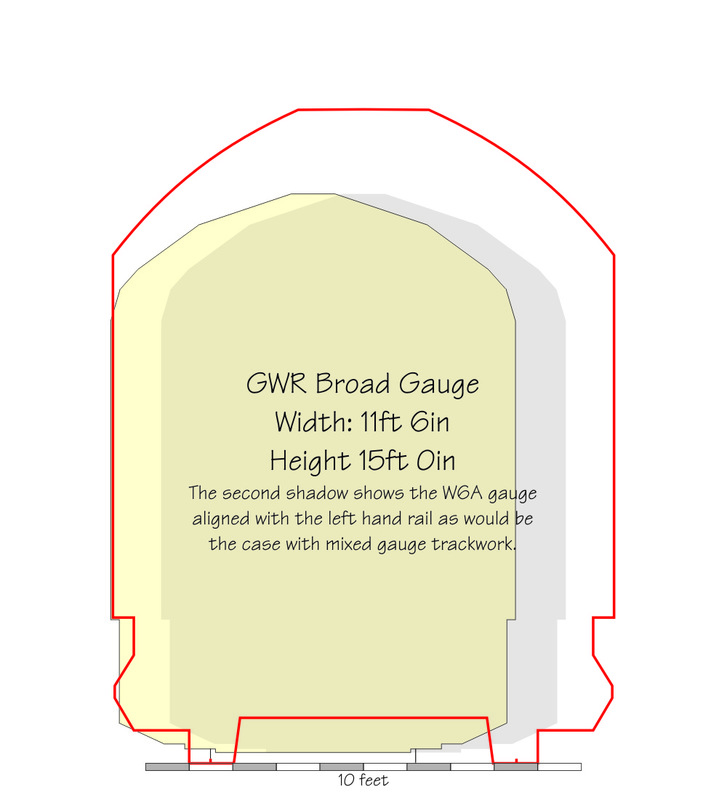 The GWR gauge was unique in not changing at the grouping, although many absorbed lines had to have additional restrictions. 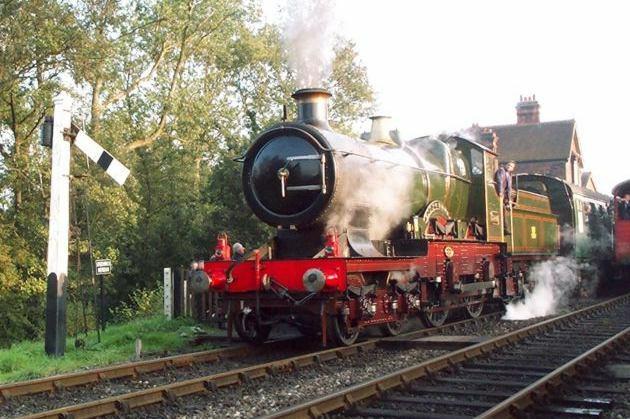 Even after nationalisation the GWR working gauge was left unchanged and persisted to at least the end of steam, although all new stock after the last Manors complied with the lower BR gauges. Overhead electrification has exarcebated the issue of clearance for taller GWR locomotives. Surviving stock from other lines had long been cut down to lower composite gauges. The Southern Railway's composite loading gauge, as can be seen, was quite small. I have not yet managed to find details for LMS and LNER gauges. I hope to be able to see diagrams next time I am at Kew. Great Northern locomotives are recorded as having been lowered for wider use on the LNER, as were some Great Central classes. 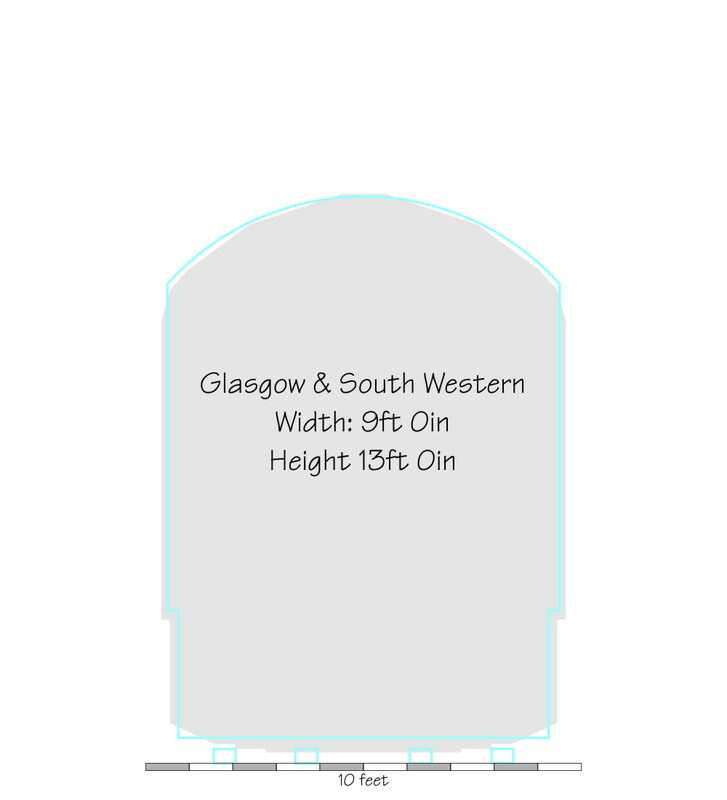 Cox, in his book 'Chronicles of Steam' records that Caledonian designs with outside cylinders could not be considered for wider use on the LMS. 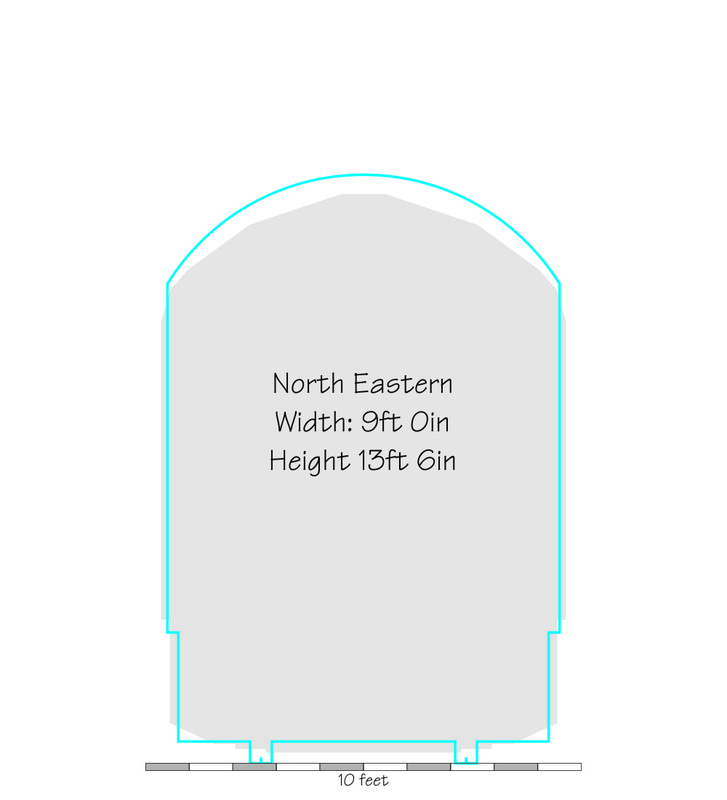 The reason is obvious when one examines the gauge drawings below. The British Railways loading gauge was another composite, and so rather small. Considerable effort has been put in to attempt to maximise the gauge within the structures, and the smallest current standard gauge, the W6A freight gauge, is a little wider than many pre grouping gauges. There is much more on the subject in the documents linked above. Sketches of the Loading Gauges. 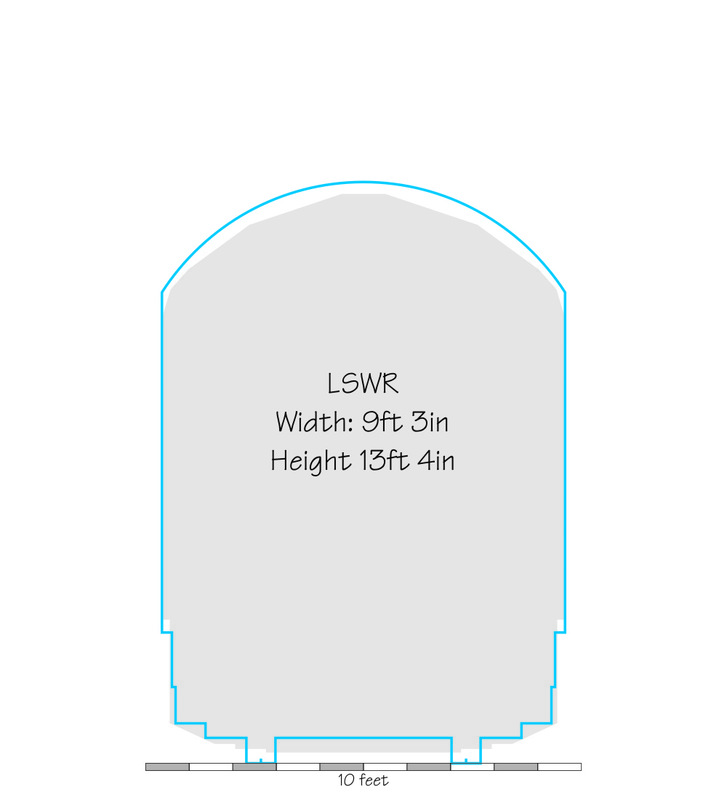 The current Network Rail W6A gauge (the smallest of the standard freight gauges) is shown in gray on each sketch to provide a basis for comparison. Dave Harris/The Midland Railway Study Centre, David Morgan, Ernest Bate, Harry Holcroft, John Wardle, Neil Hardwick, Nigel Ogilvie, Tanya Jackson, Jim Summers, members of the GWR E-List and others who I have failed to record.